Ayurveda is much more than the new wellness buzzword. A preventive science focused on promoting well-being, its core principles are about keeping your body at its optimal level. Some of the tenets seem obvious: sleep before 10, wake at sunrise, and eat your main meal at lunch when digestion is at its prime. But this is more than just good advice; it’s a distillation of lessons learned over generations. After all, Ayurveda is Sanskrit for “the wisdom of life,” and it is about reconnecting our mind, body, and spirit to our body makeup (our prakriti). 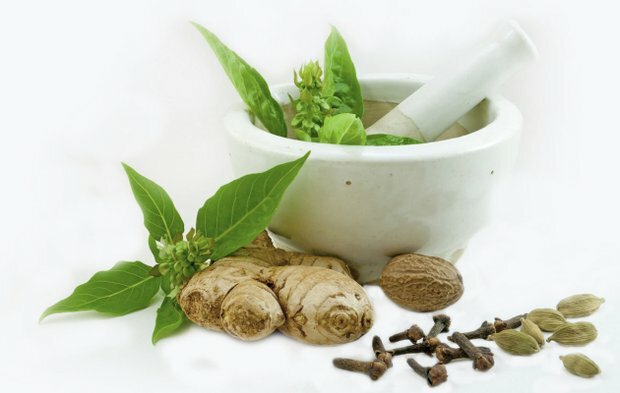 “Very simply put, Ayurveda itself is the ancient system of naturopathic medicine. It’s the oldest continually practiced form of medicine known to man,” said Sam Hari, the director of West Coast Ayurveda in Vancouver, British Columbia. Ayurveda has been practiced in India for more than 5,000 years; at its core, it’s a way to understand illness and treat it using all the resources we have available, including food. As a holistic discipline, Ayurveda relies on natural remedies, including teas and tisanes, to treat illnesses and restore health and wellness in all aspects of life. 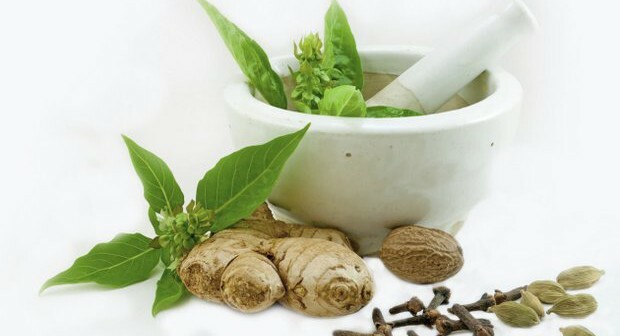 Ayurveda teaches that food and drink can be medicine; that our environment and lifestyle have a lot to do with how we feel; and that every person has an individual makeup that determines how best to treat any illness specifically for them. Western medicine holds that we get sick because we were exposed to germs and toxins that caused our illness. Ayurveda believes that these germs and toxins are always around us; the difference is that Ayurveda holds that we succumb to illness when our body is out of balance, not because of a change in environment. “There is this unbelievable intelligence inherent throughout the human body,” shared Alan Marks, CEO of Maharishi Ayurveda Products International. “Given the right conditions, our bodies have everything we need to be in balance, so illness is ultimately a symptom of imbalance.” When our individual makeup (prakriti) goes out of balance, then sickness appears. Conversely, if we put our body back in balance, the illness will disappear. The key is to discover what each of us personally needs in order to re-establish that balance. Each prakriti is made up of a unique combination of three forces, or doshas: vata, pitta, and kapha. Ayurveda teaches that when we act in accordance with our individual prakriti, our body will become balanced. Our individual doshas are determined at the moment of conception. No matter what happens in our lives, our prakriti remains constant. One common misconception is that each person is uniquely one of the three doshas. In fact, Hari shares that there are actually seven possible combinations for an individual prakriti. As it turns out, most individuals are dual dosha: either Vata-Pitta, Vata-Kapha, or Pitta-Kapha. In some rare cases, an individual could even be a combination of all three. In the case of doshas, the more may not be the merrier, though. “If you are single dosha, you only have to focus on the aspects of the one dosha that will impact you. However, if you are tri-dosha, you will have to worry about all three of the doshas going out of balance,” said Hari. “When looking to adopt an Ayurvedic lifestyle, rather than changing things, you should take a look at what you are doing right,” counseled Hari. Vata requires warmth in both activities and food, and so you should limit raw food. Pitta individuals, on the other hand, should avoid heated yoga when they are unbalanced. The warmth from these classes will simply increase the fiery nature of pitta. Adding tisanes into your daily routine is an easy way to bring some of the teachings of Ayurveda into your life. Simply by being in tune with your mind and body, you will be practicing a core principle of Ayurveda, bringing balance and overall wellness into your life. Anne-Marie Hardie believes in fully immersing herself in each and every experience: from discovering that perfect cup of tea to researching the newest trends. Her writing has been featured in a variety of magazines including Tea and Coffee Trade Journal, Tea Magazine, Growers Talk, CAA magazine and www.yogaflavouredlife.com. Anne-Marie’s passions are her family, practicing yoga and drinking a fantastic cup of tea.